In July, I received an email from the talented Kelly of Fiddle Leaf Photography inviting me to participate in "The Mama Morning" - a kind of seminar for mothers in celebration of World Breastfeeding Week. We were at Yo Mama Maternity on the west end of town and the whole morning had a very peaceful tone to it, which I always find interesting when you're in a room full of small babies. There were talks on babywearing, breastfeeding, meal planning and maternity/nursing clothing presented by some great businesses in the city. I enjoyed speaking with the mothers there and I wanted to include the information I shared with them on my website. Since The Mama Morning was held in honour of World Breastfeeding Week, I decided to speak about babywearing in terms of feeding and needs. Mammals can be placed in 4 classes depending on how they feed their young (Bergman 2001a; Kirsten, Bergman, Hann 2001). include deer and rabbits. Babies are born mature but stay hidden to be protected against predators. Their mother returns very infrequently (about every 12 hours) to feed them. Since crying out from hunger would attract predators, they have the highest levels of protein and fat in their milk to accomodate their mother's absence. include cats and dogs. Babies are born immature and stay in the nest with their littermates, with the mother returning frequently to feed them. The levels of protein and fat in their milk accomodate their mother being away (no feeding on demand) but returning frequently. They have the second highest levels of fat and protein, next to cache mammals. include horses and cows. They are born mature and can follow their mothers around and feed on demand. As a result, the protein and fat is lower than both nest and cache mammals. include apes and kangaroos... oh and us, humans! Babies are born the least mature and must be carried around for warmth and nourishment. They have the lowest levels of protein and fat and their babies need to be fed often. Among this group with the most immature young, and the lowest levels of fat and protein, humans are born the most immature and have some of the lowest levels of protein and fat. So our young have evolved so their needs are met with the expectation that they are carried and fed frequently. At the same time, you know that you cannot spend every waking minute breastfeeding, coo'ing at and carrying your baby because you have your own needs. Adults have added needs that a baby does not and some people's wants might correspond to the needs of another so each individual has their own needs. Taking care of our own needs as a caretaker helps our mental health and has a very tangible trickle down effect to our children. Some of the frequent needs I hear parents expressing most often include the need to return to pre-baby life as soon as possible, including pre-baby body, pre-baby social life, or maybe pre-baby travel. There might be the need to parent other children. Professional or educational demands may also be present; a parent may need work from home as soon as possible or could be going to school. You may also have large family gatherings to attend (especially around the holiday season). Plus we have our own basic biological needs as humans to eat, sleep, poop and wash ourselves. In my mind, the first thing that needs to happen for adults is that we need to reel in our expectations and see if we can reassess or adapt our needs. You may find some things were just 'wants', while not meeting other needs may bear a distinct negative consequence on your mental health. For example, although you thought you could go with a very minimal social life, doing so pulls you into a deep depression. Or you may have thought you needed to do a lot of leisure travel since you were on maternity leave, but you realise that is not a way you want to be spending your time or money. First, give yourself a break. You'll do great at this, you just need time. Second, learn all about your baby so you can easily identify their needs. Stay in close contact with the baby. When you have the basics covered, adding things in to your life becomes much easier. I know first-hand how debilitating it can be to try to go out with a new baby before you even get feeding under control and trying to figure it all out in front of people you don't really know! Plus, consistently meeting your baby's needs as they arise gives your baby a sense of security and trust, which will help you as you go around unfamiliar places or people. Now you can start to really explore your life as a duo and see how you can continue to meet your needs and your wants as well! Babywearing will help you to remain in close contact so all those cues and understandings you gained from getting to know your baby can be easily identified. Let's take a few examples of an adult's needs and how babywearing can help. On our way to return books at the library and pick up some more. Daily Living, Chores and Errands are easier to accomplish by having both hands free. Although I've heard the argument that you can just put baby down and do what needs to be done, the reality is that often babies are not okay with that. A baby may be okay to be put down several times a day, but inevitably, you will have something to do and that baby will be crying for you. There is a "witching hour" with babies that happens in the evenings as well, which may conveniently coincide with your dinner time. Holding your baby in their safe space - next to your body - fills them with comfort, regulates their internal functions and although it may not stop their crying, it shows them that they are not alone in their period of suffering. When they are worn, you are able to eat with two hands, sweep the floor, walk the dog, do computer work, shovel the walk, and so on and so forth. As you go about your work, you can keep an eye on baby and take note of their cues. They will also have periods of quiet alertness, which helps baby to learn and absorb their surroundings. Social Engagements happen throughout the year and can be especially difficult in the winter months. During those months, far less engeagements are held outdoors and people can be restricted to crowded indoor spaces. This can be overwhelming for stimulation. It is also a breeding ground for colds. For a lot of babies, colds aren't a big deal but if you have a child who has immunity issues, keeping strange hands away from baby can be imperative. That said, at any kind of social engagement, it is easy for babies to become overwhelmed. Strange hands, faces, textures and kisses can all be too much. Providing a safe space for baby helps them to regulate their stimulation (turn in, snuggle and have a snooze). From taking the time to get to know baby and their cues, you will know when things have become overwhelming. Likewise, having learned those cues and responded to them consistently, baby will learn that you are their safe space. That they can trust you. That they can switch off when they are with you. This allows you to return to the social stimulation you may be craving or required to provide. Bethany wearing her son while teaching a barre class at Xtend Barre Edmonton. Exercise is so beneficial but it may look different before and after baby. Although some activities should not be done while babywearing (such as running, roller blading, cycling, etc.) there are programmes you can do with baby on you. They provide added weight and resistance to movement. Keeping in close contact with them may also allow you to focus on the task at hand instead of wondering if they are missing you, if they are upset, if they dropped their soother or a whole host of other questions that permeate when baby may not be visible. I've done stairs, intervals, walking, bootcamps and barre while wearing baby. It's really important that workouts for postpartum mothers (whose bodies are healing from the effects of pregnancy and birth, and who may be experiencing other body changes related to breastfeeding) be carefully selected to be safe and effective. Similarly, anything involving babywearing should undergo critical evaluation. You want to make sure you have a carrier that suits your baby's needs, your body, and the activity. I love wraps but buckle carriers and mei tais are often better choices for workouts, especially with older babies who can be worn on the back to optimise the workout. Postpartum Mental Illness is very common amongst caregivers. We often think of biological mothers with baby blues or postpartum depression but there are a whole host of mental illnesses that affect parents and caregivers. I suffered from postpartum anxiety and hearing my baby cry would have a visceral effect on my body. Babywearing allowed me to go for walks, it allowed me to make dinner, it allowed me to have quiet soul-replenishing moments with my sleeping baby. Rocking her in the wrap in my livingroom when my arms were too tired to hold her after a long day of teething and watching the snow fall elegantly on the schoolfield infront of our home. Those are the moments of parenthood I hope everyone gets to experience. Those are the moments a carrier can enable because your body can turn off and you can just be present with your child. They are the moments of light that can shine through the darkness that has invaded your mind. The moments of love, bonding and respite from my anxiety made my carriers worth every penny. I will make note that babywearing can be a hinderance to mental health recovery sometimes so do not pressure yourself to do this. Listen to your mind and your body and you will know if this is something that should not be used or if it should be used a bit differently for you. On Signal Hill in St. John's, Newfoundland. Travel can be a way to reconnect with family, a professional requirement or just a fun thing to do! From a practical point of view, wearing your baby through the airport keeps hands free for luggage. Carriers also take up less space than a stroller. They don't need to be gate checked or fitted into an overstuffed vehicle. A lot of parents make the choice to use a carrier in partnership with a stroller because that's what works best for their family. In strange places, around strange sights, sounds, and smells, baby may become overwhelmed. Again, you can be the safe space for them when you carry them. Babywearing may also take you to places a stroller cannot, like up a mountain, to a remote archeological site or to an uncharted path in the woods. Plus it's a bit easier to take a scenic selfie with someone who is strapped to you. What else is there to know? We never know what life is going to throw our way so getting to know your ressources is a huge help. That way, you know who you can turn to when the tables turn. In Edmonton, there are a multitude of ressources to help with babywearing. I offer weekly workshops; Two Mothers has an extensive stock of carriers of all kinds; Edmonton Babywearers group on Facebook offers support and so much more; there is quite a selection of postpartum doulas in Edmonton or for help with breastfeeding, La Leche League is a great support group. 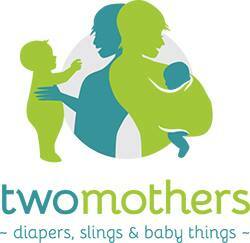 The bottom line is, babywearing can be a supportive tool for you to pursue your parenthood. It is not a miracle product; it is a way to support basic biology and independence. If babywearing is right for you, there is a safe way to access it.